A new season is on the horizon. That means changing temperatures, a new wardrobe, and of course, home maintenance tasks. As you transition your home from one season to the next, remember: your heating and cooling system should do the same. With proper care and a little attention to detail, your home can stay comfortable throughout the year. Are you ready to prepare your heating and cooling system for a new season? Then these are a few of the most important things to take care of. Once the summer has ended it is time to think: heating. Yes, early fall is the ideal time prep your heating system and get it ready to go. Where to begin? Start by taking care of your air conditioner before you do anything with the furnace. 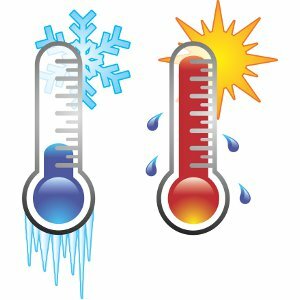 Your air conditioning unit should be turned off for the season. You will also need to clean up the outdoor unit. Before the weather gets too cold, give it some much-needed TLC! Take a moment to clear away any leaves, twigs, or debris found around the external air conditioning unit. Once you have finished that, wipe down the exterior carefully and cover it up if necessary. This end of season process keeps your air conditioning unit clean – and prevents contaminants like dirt and other contaminants from getting inside. The next step is scheduling an appointment with a member of the Heating Ontario team. Why? Before your heating system can be turned on for the season, there are a few issues that need to be addressed. Those issues include your annual inspection of the unit as well as an inspection of the thermostat. The furnace filter will likely need to be changed as well. These steps ensure that your heating system is working properly – and that it won’t let you down once the weather starts to get colder. Following your regular inspection and maintenance, your HVAC (heating, ventilating, and air conditioning) unit will be ready to keep your home safe, comfortable, and warm throughout those chilly fall and winter months. That means a reliable heating system all season long! When the season changes again, it will be time for more of that important prep work. The extreme weather conditions that come along with the fall and winter months (like rain, wind, and snow) can be especially hard on our homes. That is why preventative steps are so essential. So, what should you do? To transition your home from winter to spring, you will need to check on your furnace air filters and change them if necessary. Next up? Spring signals the need to bring in professional heating and cooling specialists once again. During this visit, our Heating Ontario team will perform maintenance on your air conditioner and make sure it is ready for those pleasant spring and summer months. How prepared is your home? Make sure it is ready for anything by paying close attention to your heating and cooling system. At the end of each season, certain tasks will need to be performed. From maintenance to inspections, cleaning, and filter changes…. a little goes a long way. At Heating Ontario, we make sure your home stays at a comfortable temperature – spring, summer, winter or fall.